A versatile and powerful device for treating vascular and pigmented lesions. Limelight facial is a new, non-invasive approach to skin rejuvenation. Limelight facial is ideal for removing superficial redness, telangiectasia (tiny veins) and brown spots. Also treats pigment changes that develop over time due to aging and sun exposure. Improves skin tone and gest rid of those tiny veins on face and annoying age spots on arms, face, and hands. When the pulse of light is delivered, patients will experience a mild pinching or stinging sensation. One to three treatments are usually sufficient to see results. Additional treatments may be recommended, especially for excessively sun-damaged skin. 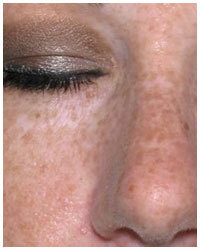 Within one to three weeks, the darkened spots will flake off and fade. 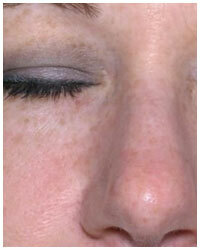 Diffuse redness or telangiectasia will decrease and your mottled complexion will improve.